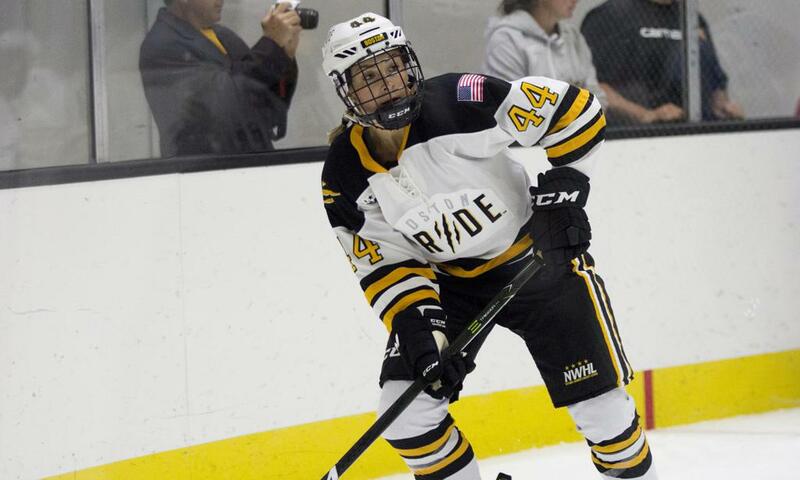 BROOKLYN, NY – The Connecticut Whale have acquired forward Zoe Hickel from the Boston Pride in exchange for the Whale’s first pick in the 2017 draft, along with future considerations. Hickel, 24, had a goal and five assists for six points in 12 games this season with the Pride. In 2015-16, she was 3-4-7 in 15 regular season games and had a goal in three assists in four playoff games as the Pride won the first Isobel Cup championship in NWHL history. Hickel, who agreed to the trade, informed her Pride teammates of the news this morning. After All-Star break this weekend in Pittsburgh – Hickel was selected to the game, will play for Team Kessel and will wear the Pride logo one last time on her all-star jersey – the Whale’s next game is Feb. 19 at the New York Riveters. Statement from Boston GM Hayley Moore: “We want to thank Zoe for her commitment and contributions to the Pride over the past two seasons. As an organization, we pride ourselves on putting the players first, supporting their development, and preparing them for the National Team stage. We made this move so Zoe will have the opportunity to play a new role for the Whale. We wish her the best in Connecticut and beyond.